MIKA Reyes’ appointment as national team captain was a unanimous decision by the coaching staff, according to head coach Francis Vicente. 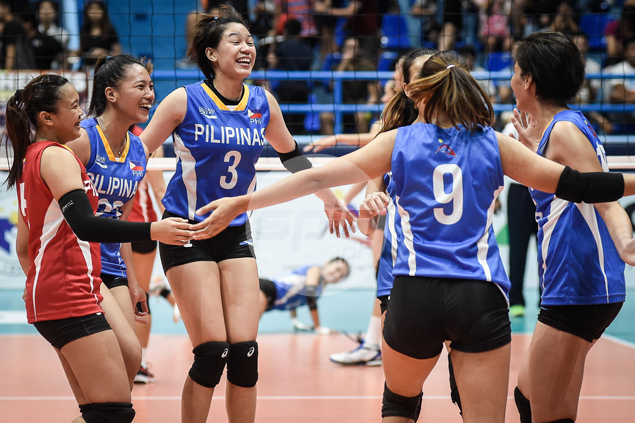 Vicente made the announcement on Friday at the Arellano gym in Taft Avenue after presenting the 18-woman Philippine lineup for the 29th Southeast Asian Games in Kuala Lumpur in August. While the captainship of Reyes raised eyebrows among some volleyball fans, the veteran Vicente stood firm that the former La Salle star deserved the position. “Pinagbotohan namin lahat ang team captain is Miss Mika Reyes,” said Vicente. Aside from Vicente, his assistant coaches Bryan Esquibel and Nene Ybanez-Chavez, who was part of the last RP team that won a gold in the biennial meet, and trainers Kungfu Reyes and Ronald Dulay also voted in favor of Reyes. Although Reyes is not the most skilled player in the roster, her dedication and attitude earned her the right to be the skipper of the national team, Vicente said. “Kasi nakita ko ‘yung dedication niya sa ensayo, papano siya makipag-relate sa teammates niya pati sa mga coaches,” said Vicente. “(When) it was my first time to meet her, na-impress ako, nagulat ako. Tapos pinag-usapan namin ng coaching staff ‘yun ang unanimous na lumabas, si Mika Reyes,” he added. Reyes, a former three-time UAAP champion, was not present during the announcement. The pride of Pulilan, Bulacan is currently on a team building with Petron. “Hindi niya alam ‘yan, it’s a surprise kaya baka biglang umiyak ‘yun doon sa team building nila,” kidded Vicente.